So here it goes………I’m just a that guy that most people do not notice as I am that typical 46 year old living the life of a family man. Married and 2 beautiful daughters, working full time and paying off the car and mortgage, typical Canadian story but that all changed one day when my shoulders started to have a burning sensation and shooting weird tingly feelings down my arms, it then gradually started to cause some bad migraines! After many sleepless nights I decided to get it checked out by the DR. But he was baffled that after some pills and X-rays , follow up after follow up not coming to a solution, that is when he decided to refer me to a specialist ! Then after a couple visits and some tests the specialist finally diagnosed me with chronic pain syndrome and suggested that I looked into cannabis for treating it or at least keep it under control and hopefully ease some pain. That is when my life took a little different road and started to medicate with cannabis. That made a big difference and had to learn so much and educate ourselves as a family cause I was not keeping this a secret from my wife or daughters. As I learned from trial and error cause all I knew was how I had experienced it as a kid in high school, you rolled it and smoked it…..easy peasy right? NOT …….Now you can cook with it , drink it , bath in it …..you can also vape it! 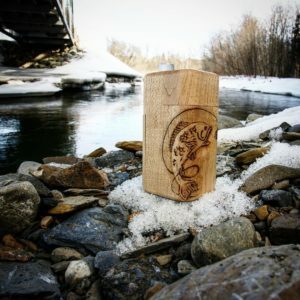 Yup vape it……..How does one vape cannabis? That is how it got my attention 4 or 5 years ago! YES vaping cannabis is a healthier more efficient way to extract all the necessary oils that provide health benefits and you can also adjust the temperature for specific extractions for CBD or THC depending the results you are looking for , plus its without combustion and that smelly smoke ! Also that first draw from vaping delivers some of the best tasting terps one can imagine…..you know how you love smelling that new bag of weed you just got……well imagine being able to taste all those different complex terpy smells, Yup vaping can do that !! 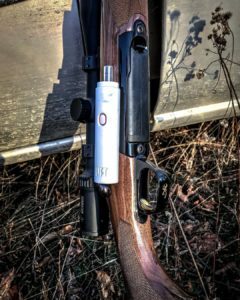 All these benefits made the switch to vaping so easy. Plus smoking(as I am not a smoker) made my lungs hurt , even feeling almost hung over the next morning as I struggled to clear my lungs as I coughed uncontrollably when waking up . That was one of the major contributors to get me searching for another way to consume my cannabis , and after some research found this new thing called vaporizers for dry herbs, and this is how I discovered Vaping ! 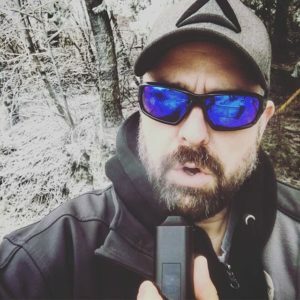 Wanting to try more and more vaporizers is how this new adventure started as I reviewed or mostly featured vaporizers on my Instagram page hoping to maybe get some attention from followers. After a few months I noticed my shots were actually getting some attention , so that is when I started writing little bits of information along with pictures that I was posting. 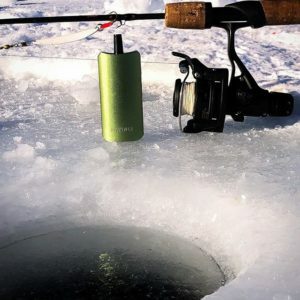 As my style was a bit different and tried to get shots of the vaporizers along many adventures like ice fishing, hunting, hiking and even mushroom scavenging my style was developing and my followers grew . 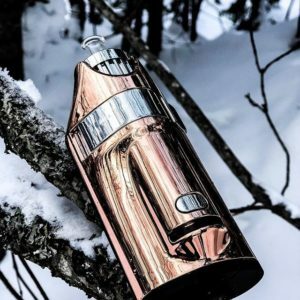 Now almost 2 years later I have featured over 50 different vaporizers on Instagram and now writing reviews to help consumers choose the right vaporizer for there needs.To this day finding new vaporizers is very exciting and to be able to share my knowledge and experiences has now become a passion. 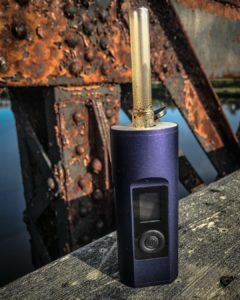 If there is a specific vaporizer you want me to review , please let me know and I will do my best to get one for testing and then release a review on it. 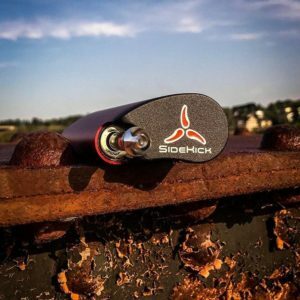 What I look for in a vaporizer is efficiency (vapor quality and taste), build quality , durability and for portables battery life is a major factor. 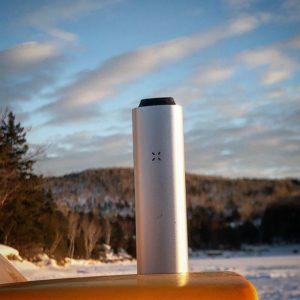 At the moment the vaporizers in my daily rotation are the MV1, Terra,Pax 3, Fog, IQ, Evo, Mighty. But have many more that I pull out occasionally , not that I do not like like them as much just that they get set aside from having them longer or just forgetting about them as I get into the newly released ones. 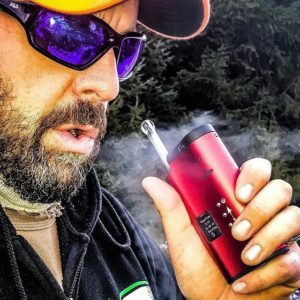 As I point out the positive and the negative on my vaporizer testing during these reviews and on my posts on Instagram, you will notice that my passion is fishing , hunting and pretty much any outdoor activities , hope you enjoy my journey as I take these Vaporizers out on my many adventures. If you have any suggestions or questions please let me know in the comments and I will do my best to answer or find out for you.